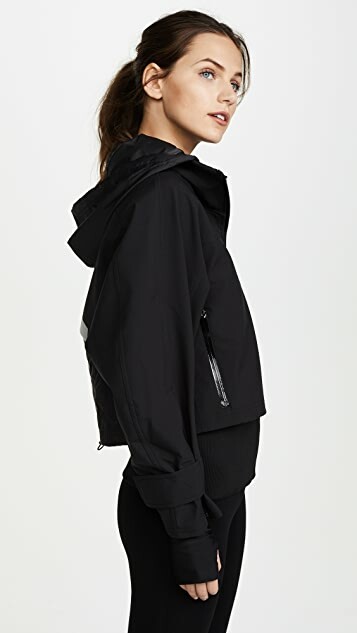 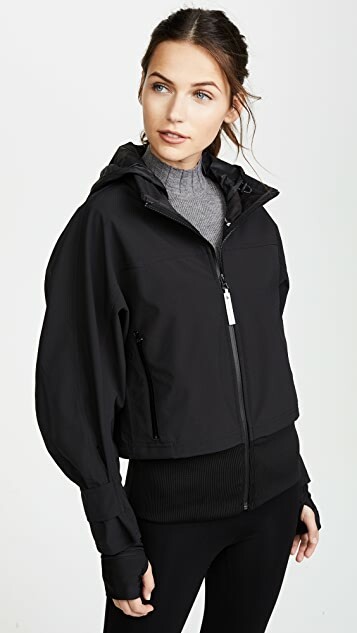 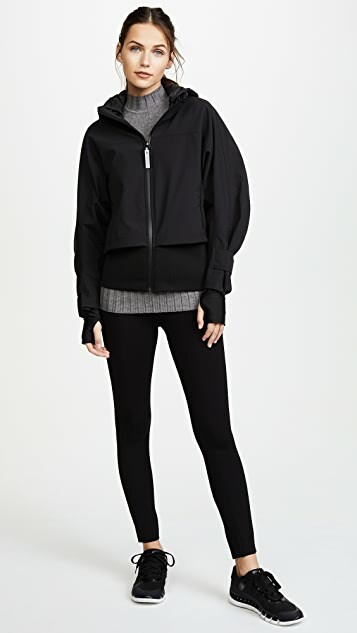 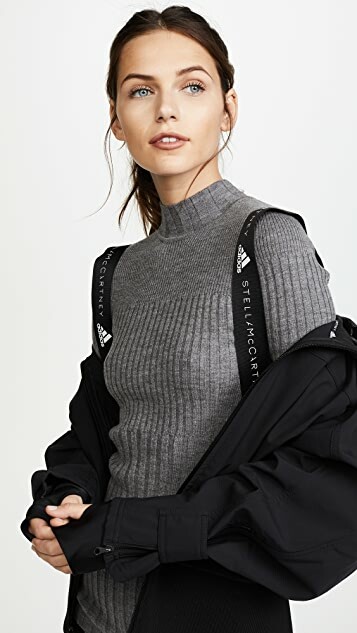 This adidas by Stella McCartney jacket has a cropped shell and elongated mesh lining with a wide, ribbed-knit band. 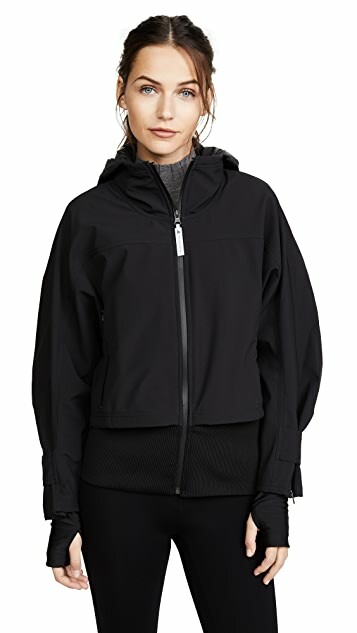 Welded zips secure the placket and hip pockets. 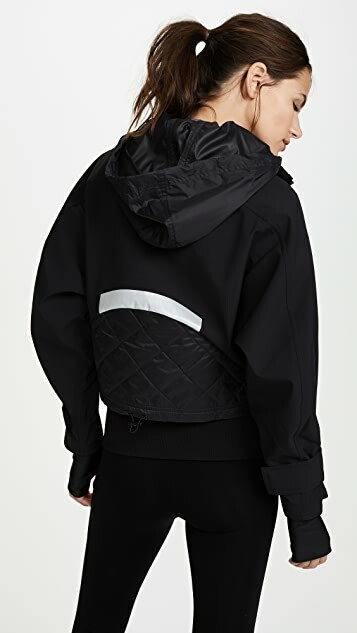 A reflective band details the back, and Velcro straps cinch the cuffs.